In the grey moral morass of modern society there are some very certain boundaries which are not crossed. The harming of innocents is one of those lines. How we react to those line-crossing events can define us and shape us in subtle and extreme ways. In Bruges the dark comedy from Martin MacDonagh we see the results of life choices rebounding on people and their rections. Colin Farrell in an excellent performance and Brendan Gleason star as Ray and Ken two British hit men who are sent to the Belgian city of Bruges after a hit goes wrong and told to wait for further instructions from their boss Harry (played to the hilt by Ralph Fiennes). Ray cannot stand sightseeing in the historic town for one second while Ken in having the times of his life looking at the building and churches, just what went wrong on the hit explains rookie hitman Ray’s nervous energy and inability to sit still. Colin Farrell won a deserved Golden Globe for his portrayal of the conflicted Ray. Ken is eventually told to kill Ray for his mistake but Ken refuses and instead puts him on the train out of town and Harry shows up to get the situation in hand. The resulting gun battle and both surprising and unsurprising deaths and satisfying make this one of the best movies I have seen recently. Combined with film within a film references of the movie set Ray and Ken encounter and their own by-play as they tour the town which is excellent, the human side of the movie is so well done and is never boring, a common pitfall. This is an excellent movie and very well done. The Kickstarter project that I am most proud of backing recently? When I first read the description of this it was like, this was made for me. with my love of all things Japan and gaming, this was a perfect juxtaposition of my interests. Almost a decade ago, Japanese artist and game designer Jun’ichi Inoue sat down to create a uniquely and unmistakably “Hyper Asian” (in his own words) Japanese world: A world of magic and technology, of samurai and Taoist sorcery, of powerful mecha and cultured geisha. The world was named Tenra, and the game was named Tenra Bansho, or “Everything in Heaven and Earth“. With a rulebook dripping cover-to-cover with high quality anime-style art, a setting rich in culture both real and fantastical, and a revised and simplified rules system that focused with precision on roleplaying and character drama, this game took the Japanese tabletop RPG market by storm and spearheaded both a renaissance and revolution in the Japanese gaming industry. Now the project is fully funded, and I am eagerly awaiting this game. 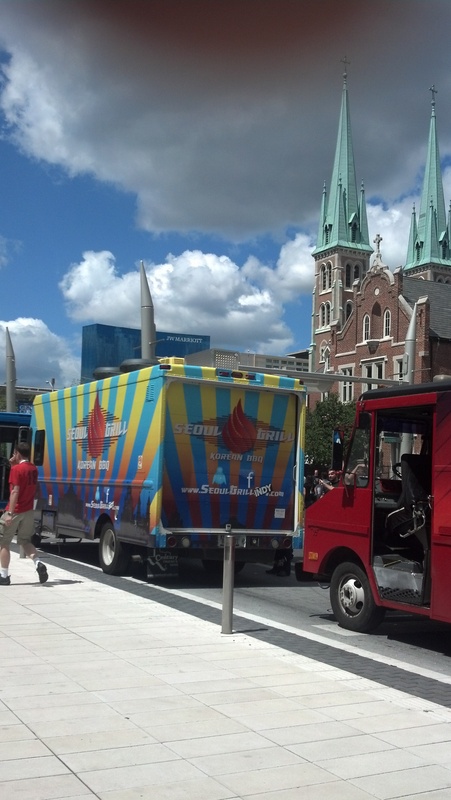 A highlight of the Gencon experience for me was trying the food trucks outside the convention center. 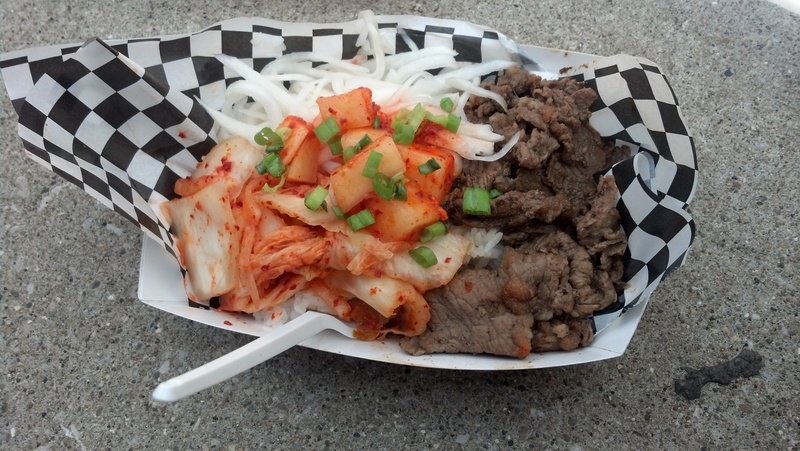 With my love of Asian food, it was a no-brainer to try the Seoul Grill truck which featured Korean BBQ in various forms. The first stop I had the Rice Bowl, marinated beef with three different kinds of kimchi and sticky rice. I honestly have never had white kimchi before. This was so very good, crazy cool/hot contrast with the spicy red kimchi. The rice bowl was so good that I went back the next day to try the Korean tacos. I figured that to beat the insane wait for the food I would show up early and before the crowds … hah! This plan failed spectacularly … the line formed before they even opened for service. 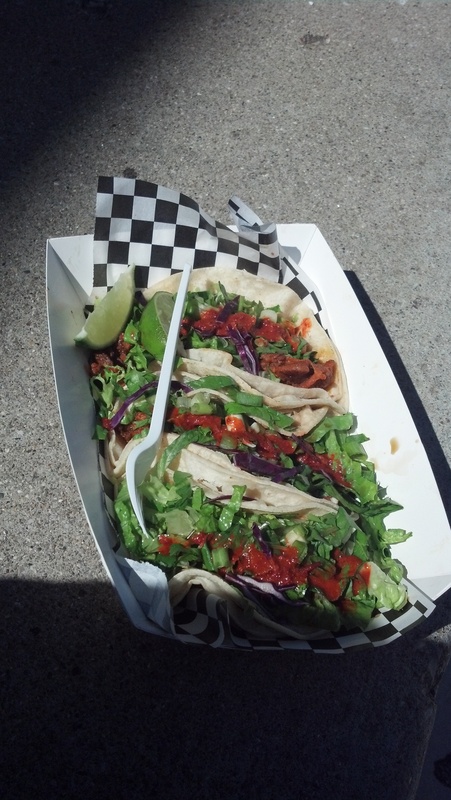 The tacos were spicy pork with various greens on tortillas, so very very good! Check out their facebook page: here. This is something to look forward to for next year’s gaming pilgrimage. 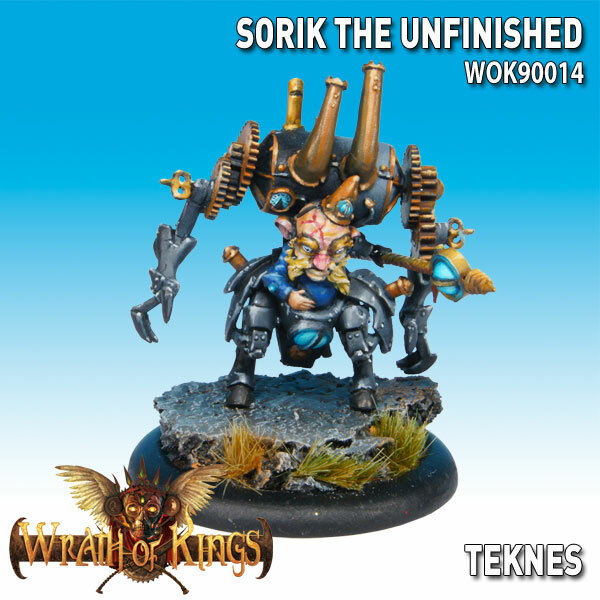 Another Great game that I demoed at GenCon was the forth coming Wrath of Kings 35mm miniature wargame, I immediately loved the odd Teknes faction minis on display and the simple mechanics, this is slated for a full release this fall. 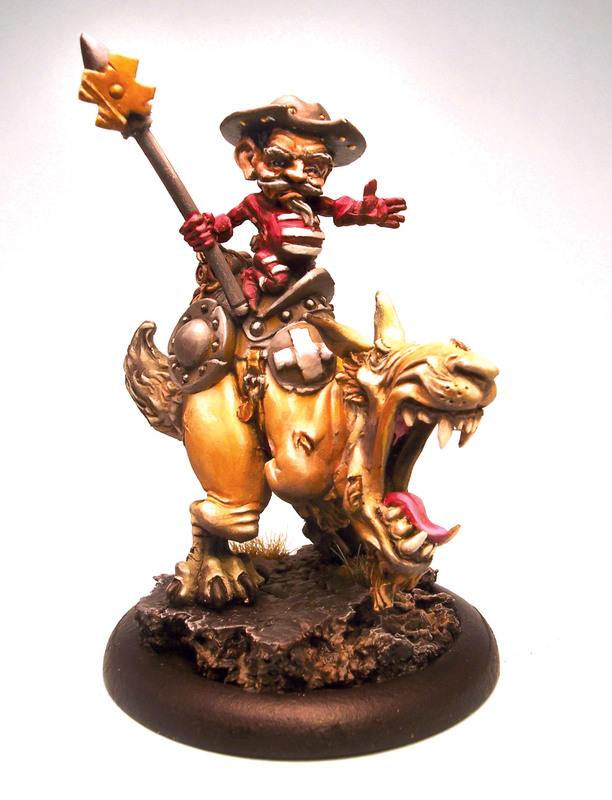 These seem inspired by the beautiful Rackham confrontation minis yet different enough to stand on their own. The Ancient Kingdom lies in ruins. For millennia, the continent of Arikania languished, isolated and enslaved by demonic elemental overlords, until the Ancient King sacrificed His name and destiny to Bind them, free humanity, and unite the land. Though He ruled for over a thousand years, even He could not live forever, and His own Scions have wrecked His legacy. One of the best things I found while at Gencon was that that the newest Shadowrun video game would be a cross platform game running on android, ios, linux, windows, mac, and ouya, so this means a player will be able to pull out his/her tablet on the way home from work then fire up the PC to continue playing at home. Shadowrun Online will also be a multi player game with players forming groups and working together co-op. Shadowrun Online is set in the dystopian near-future of the 2070s, where you can go on runs with a group of players or dish it out against other runners in tactical PvP combat. Choose from classic Shadowrun roles such as Rigger, Hacker, Shaman, Mage or Street Samurai and leave your mark on the 6th World in this next generation turn-based action game. Featuring a unique player driven plot development, tactical co-op gameplay and PvP based Turf wars, Shadowrun Online even allows users to determine the future path of the official pen and paper timeline by their collective actions. Welcome to the dark side of the future, pal. It’s going to be a hell of a ride. It was such a beautiful, clear night here that I could not resist going out to look at the stars and hopefully catch the International Space Station as it passed overhead. 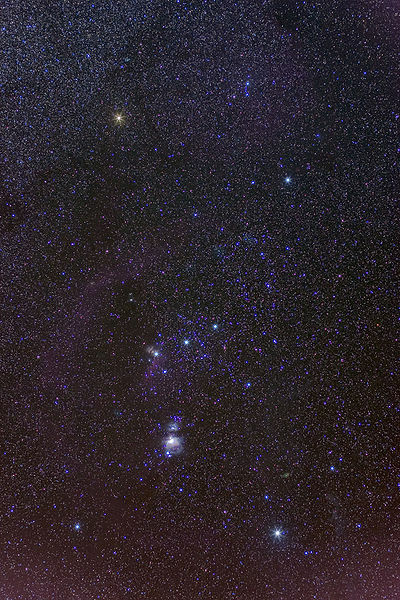 Learning to identify the constellations was something that fascinated me as a child growing up, I would have loved to have an app like the Google Sky Maps for Android smart phones. Agora is a 2009 Spanish historical drama film directed by Alejandro Amenábar and written by Amenábar and Mateo Gil. The biopic starsRachel Weisz as Hypatia, a female mathematician, philosopher and astronomer in 4th century Roman Egypt who investigates the flaws of the geocentric Ptolemaic system and the heliocentric model that challenges it. Surrounded by religious turmoil and social unrest, Hypatia struggles to save the knowledge of classical antiquity from destruction. Max Minghella co-stars as Davus, Hypatia’s slave, and Oscar Isaacas Hypatia’s student Orestes, prefect of Alexandria. The story uses historical fiction to promote a “conflict thesis” interpretation of the relationship between religion and science amidst thedecline of Greco-Roman polytheism and the Christianization of the Roman empire. The title of the film takes its name from the agora, a gathering place in ancient Greece, similar to the Roman forum. There is very heavy fictionalization in Davus and his relationship with Hypatia and her investigation of the heliocentric view of the solar system. The later is used as a story device in that finally unlocking the secret of elliptical orbits allows Hypatia to accept her fate at the hands of the parabalani thugs. 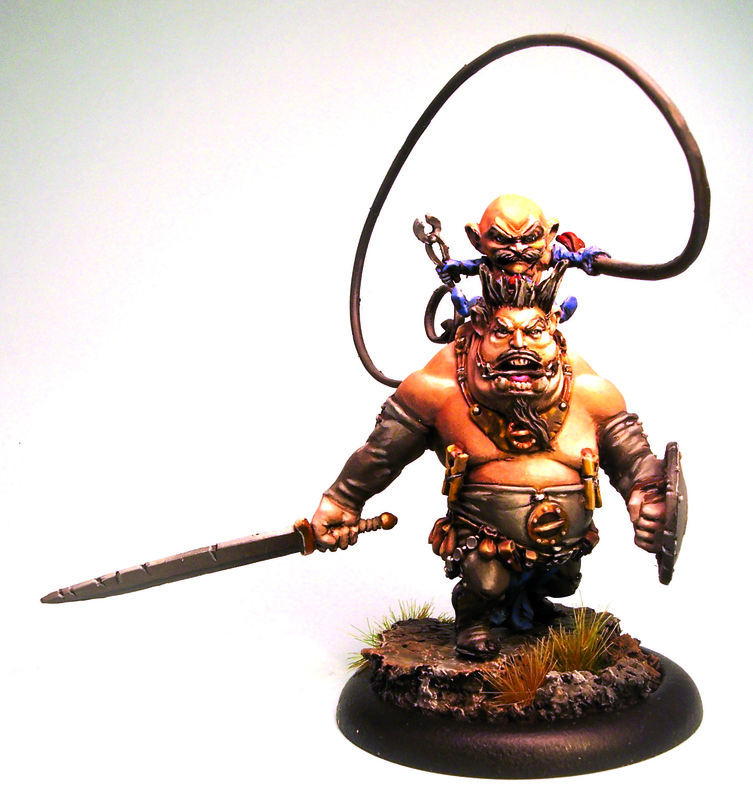 Davus is a purely fictional character who is there to serve as a viewpoint character. Agora is remineiscent of the old “sword and sandal” biblical movie like Ben-Hur. This seems to be intentional on the part of the director, as he studied these movies before starting the project. The care in creating the sets is obvious and lush visuals without obvious CG are perfect. People my age will remember Carl Sagan waxing poetic as he told the story of Hypatia in the Cosmos TV series and indeed that is where the inspiration for this project comes from. Rachael Wiesz and the others all turn in fine performances. I love this movie, for its attack on reactionary fundamentalism and the setting. Highly recommended.